Went to the apps store then came back, read your page. Waiting for the game with anticipation. Keep up the good work. Bismarck is it going to be one of the ship? Hood already unveiled; so I bet Bismarck will be in – otherwise you could’t sink Hood. We’ll be revealing more ships over the coming months here and on the Atlantic Fleet Facebook page so stay tuned. Really excited and looking forward to this. I plan on buying for both my tablet and computer. I hope you offer a DRM-Free option for the PC version in addition to the inevitable Steam version. Hope development is smooth, if you need a beta tester look no further!! Please send out announcement when LantFleet is released!! I have Pacific Fleet and hanging out for Atlantic Fleet. Looks great! Now Paul, us Aussies missed out on a ship in Pacific Fleet (I assume to to ship class size limitations), any chance of at least one RAN ship? Navy says we had Australia, Nestor, Perth, Quiberon and Quickmatch, so a nice choice of CA, CL or DD there. C’mon mate, you know you want to! You’re right, Atlantic Fleet does not have the class limitations that Pacific Fleet had. HMAS Australia would be a possible addition! Current word on a release date is late this year or into Q1 next year. Ultimately we’ll release once we’re happy with the quality of the game, but it is getting closer every day. A Mailing list is a great idea and we will be making announcements on this page and on Facebook as we get closer to release. Hello! I loved playing PF, I can’t wait for AF to come out. Quick question, when can we expect a release date? Just kidding; I’m pretty sure you all are tired of being asked that, and I’ve read the responses on Facebook. Real question, in the PF game, when you (or the game AI) fire the main battery, the game only allows a single shot per a turret, how does that work? 1 turret has 3 guns, so, is that 1×3 the damage or is it damage caused by invisible shells? I noticed that if you hit close enough, you can still damage the ship you’re firing at. Also, will this be in the new game or all guns will fire in the new game? In PF only 1 shell is displayed but the damage done is multiplied by the number of barrels on the firing turret. The other 2 shells are simply merged into a single graphic and a single flight path. In AF all shells are drawn individually and have separate flight paths and impacts for both primary and secondary guns. Thanks for the reply! I figured that was the case; it kind of irked me a bit when I was first playing the game, but I’m glad that it’s being addressed. How much will Atlantic Fleet cost, and will there be a lite version? Final price is not yet determined but similar or a bit higher than Pacific Fleet. We intend to release Lite versions as well along with game play videos and demonstrations of the game so players can try before they buy. Game is coming along very well. Aim to release Feb-Mar next year. Targeting has been completely re-worked and we’ll post details about it on Facebook Page. Great suggestions. We’re thinking about at least the H Class, but it is not in as of yet. I think that Pacific Fleet is one of the best games on iOS. Can’t wait for Atlantic Fleet to come out. Will the controls be the same as they are in Pacific fleet? Glad you’re enjoying it so much. Controls are similar, but a little different. There is now a targeting system where you can tap any ship and set guns to aim at (and set elevation) to that ship. You just need to fine tune the shot after that. I am a great fan of pacific fleet and I’ve told all my friends about it and that Atlantic fleet is coming mid 2015 ish. I’ve seen some of the videos for the new game and I think it will be a great success. However I would like to know how much it will cost and if when a ship is sunk can you send the camera under water to see it sinking like in the silent hunter series and if the camera interface will be more manuverable. ps. please consider making the ships breaking up when there destroyed for more effect and “the fleet series” is the best. SilentAssassin101. Atlantic Fleet will cost a bit more than Pacific Fleet. We’ve chosen not to break up ships: 1) it makes the physics more realistic, 2) it is less strain on the device allowing us to have up to 20 ships in combat. Yes, Atlantic Fleet has a simple editor to set up your own battles. Right now it does what you suggest with the exception of specifying actual starting directions and splitting up ship groups. You raise a good point. We’ve tried very hard to add a lot more detail, realism and tactical options for the player while maintaining the original “Pacific Fleet” feel to combat. Once this game is released what will your next plans be? Will you continue to make paciffic fleet better or will you start adding new things to Atlantic fleet? Also if you make another game in the “fleet” series what theatre would that one be in? Good questions, but right now we’re so focused on getting Atlantic Fleet out that we don’t have any concrete plans. Initially we’ll be supporting Atlantic Fleet post-release with bug fixes, player suggestions and maybe a few more ships. After that our next game is pretty open at this stage, but we have lots of ideas running from the era of sail to modern day naval warfare. Sorry to add to the wish list, but any chance of being able to make smoke to shield a convoy? so looking forward to the new game – the ships look superb! Looking forward to fighting the River Plate, Barants Sea, North Cape, Denmark Straits and many more! Your original timeline was sometime between February-March. Now that Febuary is almost here, can you refine when the release date is? Estimated release is March 2015. Cost is not yet determined, but probably around the same or a little more than Pacific Fleet. Will you every make a consol war game and we cant wait for atlantic fleet! Good question. We’ve not looked into releasing on consoles at this stage. Thanks for answering. 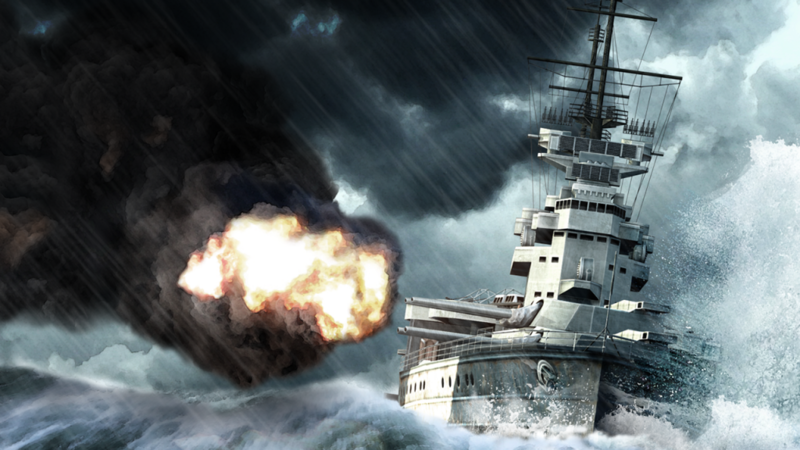 Seeing its march, could you post some teaser videos of the missions and campaign in atlantic fleet? Good job on this game. When is the release date for this game? You can play 2 players on the same device in Single Battles, but unfortunately no online multiplayer at this stage. Add The Musashi in Atlantic Fleet. The sister ship of the Super Ship The Yamato! Pacific Fleet is based on Classes of ships, not the individual vessels. So the Yamato Class Battleship represents both the Yamato and Musashi. Likewise the Iowa Class Battleship represents the Iowa, New Jersey, Missouri and Wisconsin. Atlantic Fleet will have actual individual ships of each class. Could you please give an actual release date for atlantic fleet or a count down timer? I mean in Atlantic Fleet can their “be” German ships versus German ships. If this game doesn’t get released next week I’m seriously breaking my leg off and feeding it to the Sharks. We’re working hard to get it done, no exact date yet. The intro will be similar to Pacific Fleet with the view of a ship from the game. Can we view the cabin in First Person? No. Closest you can get is periscope/binocular views from your ship. Hi, the game looks great and really realistic. how many giga (or mega) bites will this game need? Also will it be out before June? thanks. Will need 512MB RAM and will likely take 300MB or so in disk/storage space. Yes should be out well before June. also we are all eagerly waiting for the game and can’t wait to play it. thanks. Do You think it will be released this week or next week? Don’t know yet. Considering we’re still optimising the game it likely won’t be either. How close are you to bringing the game out now? also in pacific fleet you could us an A-bomb, is there an equivalent upgrade that you can use in atlantic fleet? PS will the game be out in the next 3 weeks or will you bring out a lite version before hand. Doubt it. The design was so ambitious as to be essentially fictional.